We all talk about electric cars a lot. They’re the vehicles of a future which is free from pollution of the environment, and they’ve advanced massively in recent years. However, not everyone is fully aware of how the vehicles work, and what makes them so useful. We’re going to be taking a look at the process which enables your electric car to move around at all, so there are no doubts as to what happens. So, how does my electric car work? Obviously, electric cars are different from conventional motors in the way that they don’t have a combustion engine powering them. Instead, they run on an electrical engine. Your electric car is often comprised of three basic components which make up a lot of the vehicle. You’ve got the battery which provides power to the electric motor, as well as the controller for the engine, which acts as the middle segment between the motor and the battery. The controller serves the purpose of taking power from the battery and transferring it to the motor. The accelerator pedal is connected to a pair of potentiometers, which provide a signal to the main system and instruct them on how much power needs to be delivered. For example, if you put your foot right down on the pedal, you’d get the full amount of power sent to the motor, and the same logic would apply if you took your foot off the pedal completely, then the system would not send any power to the system. The motor that you drive can either be DC or AC depending on the type of vehicle which you’re driving. DC motors tend to be the lesser of the two with regards to price. This means that a lot of electric cars are outfitted with DC motors, as they’re also the more common of the two. The AC motors are some of the more uncommon engines, but they do have more power and can last for a longer period. 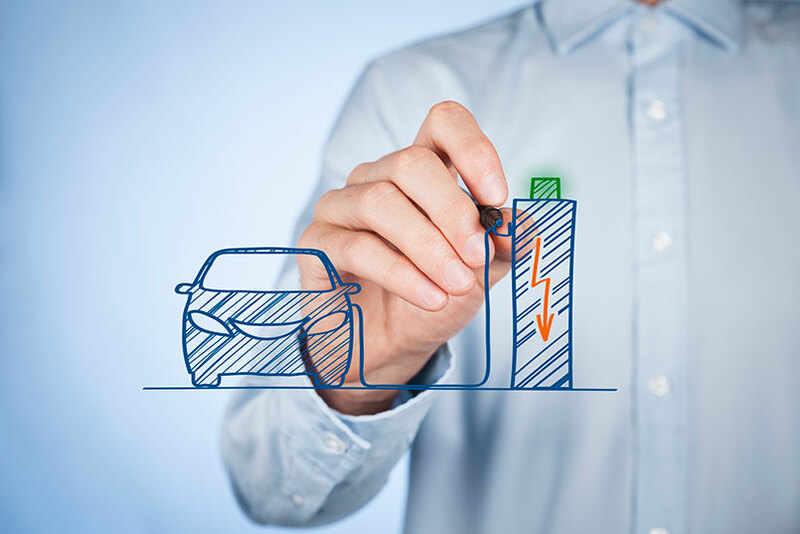 Charging your electric car is the same procedure that it’s always been, with the electricity being transferred into the battery and stored, to be used whenever you next start the vehicle. You should be careful about overloading your battery, however, and make sure you stop charging when the battery is full or you may risk damaging the entire system. Overall, the electric car is something which works without a conventional engine. This means that they do not require the same components and thus are not subject to the same rules. The electric car is one which is powered by a much more simple system, and the only caution point is that you do not want to overload the machine and cause permanent damage to your vehicle. Knowing how your vehicle works is a good way to ensure that if something does go wrong, you can identify what’s gone wrong and whether it is something you can repair yourself or whether you require a professional to try and fix it for you.